Chiki-Chiki Boxy Racers is a fast-paced party through a charming wonderland of environments with cute, toybox-inspired cars. Joyful pop tunes and a bright voxel aesthetic make unlocking and discovering new cars, then tinkering with their colors, a great way to spend time with friends. Grab a friend or seven - at home or online! - and race toward first place in one of Chiki-Chiki Boxy Racers’ 15 vibrant tracks spanning three distinct zones. Boost through tricky curves and pass up the competition online or locally. Chiki-Chiki Boxy Racers’ intuitive controls make it easy to pick up, but hard to put down. 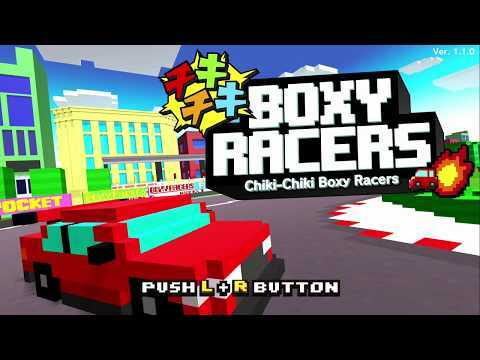 Chiki-Chiki Boxy Racers was released on Switch 232d ago in the US and the UK. Notify me when Chiki-Chiki Boxy Racers is available.